Anja Coyne. Nickelodeon TV guide. 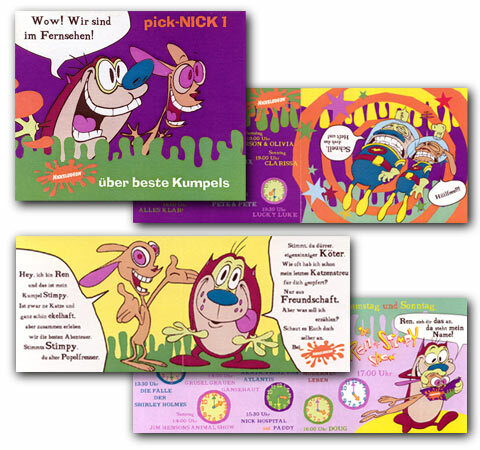 A TV guide for kids introduces characters of Nickelodeon - in this case Ren and Stimpy. Jokes and games are illustrated in bold colours.